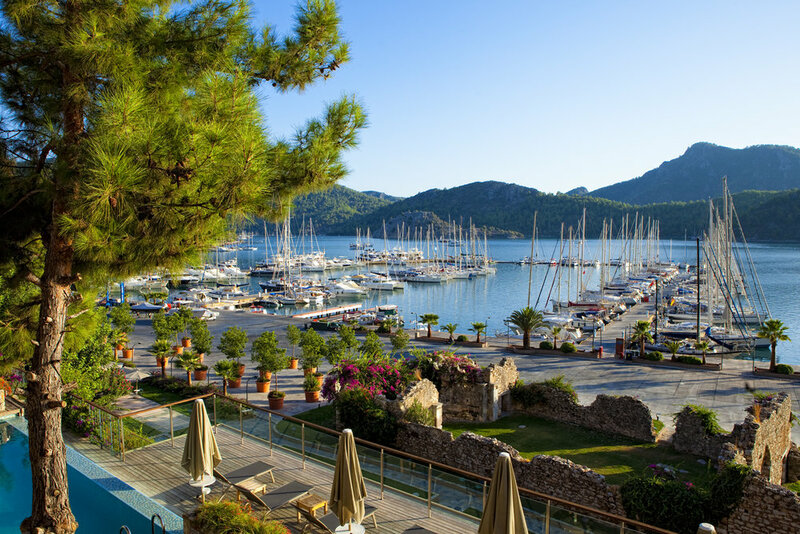 Set along the beautiful Datca Peninsula this luxury 30-room boutique hotel was named after the Greek Goddess of Health and Beauty and is set within the Marti Marina complex on the edge of Hisaronu Bay. 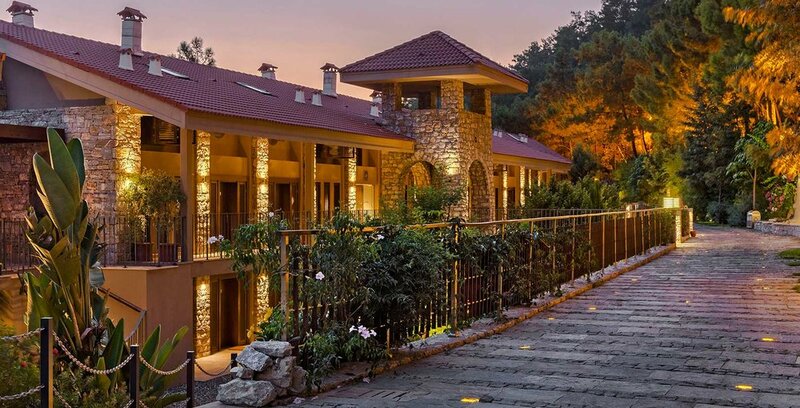 Boasting a luxury spa with Turkish bath the hotel nestles between the sea and surrounding green hills at the point where it is said the Aegean and Mediterranean meet at the hotel's private beach club and marina. 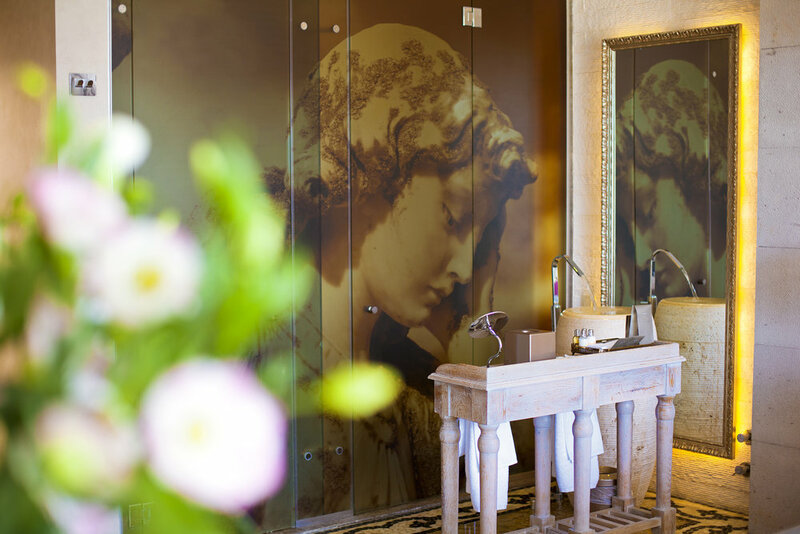 Each Superior room has a furnished terrace and the Grand deluxe rooms have an added outdoor Jacuzzi and sea-view shower area. 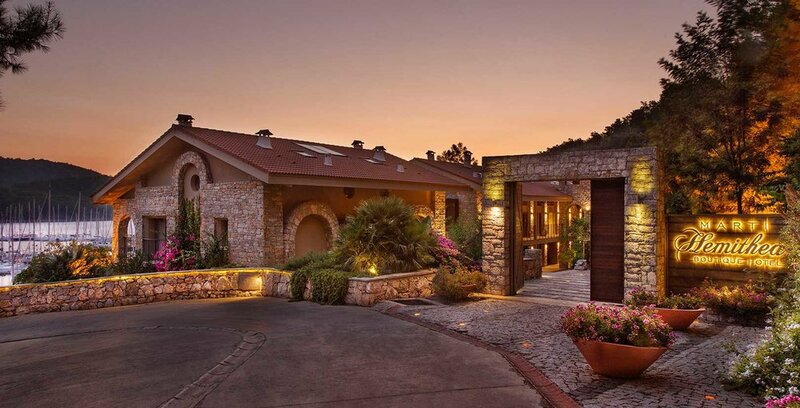 This upmarket hidden gem is an absolute must for those seeking tranquility and exclusivity. 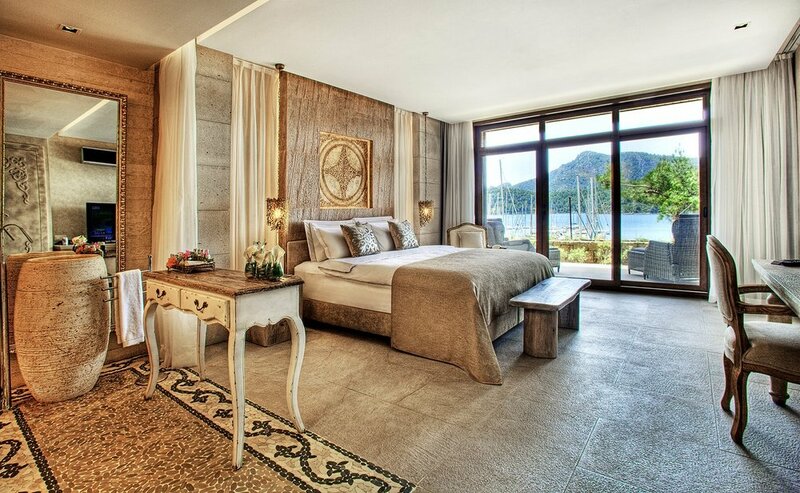 WHY NOT EXTEND YOUR HOLIDAY WITH A STAY AT THe marti hemithea HOTEL BEFORE OR AFTER YOUR GULET CRUISE? 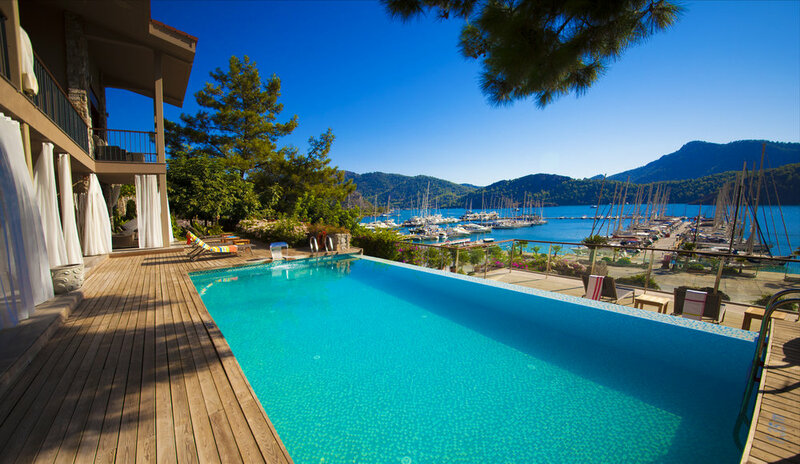 PRICES FROM £80 per person per night B/B.